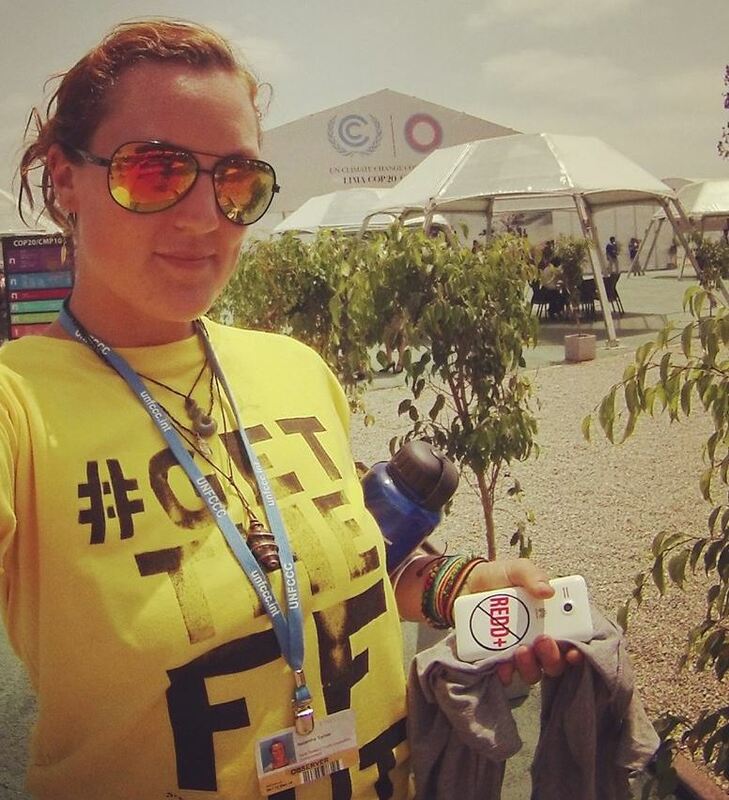 Guest blog by Tarsh Turner, a member of the NZ Youth Delegation at the climate talks in Lima. The United Nations Framework Convention on Climate Change (UNFCCC) has been working to avert climate disaster for over two decades. While there are a myriad of challenges in attempting to get nations to agree to an action plan to save our planet, there is one major flaw in attempts to date. UNFCCC negotiations have dealt only with emissions; governments are required to produce emissions reduction targets, and market mechanisms are aimed at making it more expensive to emit. What is glaringly absent from the discussion is any mention of ceasing to extract the fossil fuels that have gotten us into this mess. The problem with solely pursuing climate policies which seek to reduce fossil fuel demand is that even when they are successful, they simply push fossil fuel prices down, creating a cheap energy supply that is hard for renewable energy sources to compete with. There needs to be a simultaneous push from the other side, cutting off the supply of fossil fuels and creating a strong impetus for change. The science is telling us that the majority of our known fossil reserves must stay in the ground if we are serious about keeping within two degrees of warming. The International Energy Agency has said that “no more than one-third of proven reserves of fossil fuels can be consumed prior to 2050 if the world is to achieve the 2 °C goal,” and Carbon Tracker estimates that 65-80% of listed companies’ current reserves cannot be burnt. While estimates may vary slightly, the consensus is in. We cannot burn all of our known reserves, and thus, further exploration for new reserves is morally reprehensible. This week New Zealand’s climate change minister Tim Groser arrived in Lima for the United Nations COP20 climate conference. Prior to his arrival, Groser assured a reporter that in New Zealand we are “absolutely doing our fair share” to address climate change. The following day, energy minister Simon Bridges announced fifteen new oil and gas permits, seriously undermining this statement. This announcement flies in the face of any real intention to engage with climate change action at the international level, ignoring the reality that to continue with fossil fuel exploration means to accept the possibility of over four degrees of warming, a frightening prospect. It is time that leaders come to term with the fact that they simply cannot exploit all the fossil fuel resources in their territories and still expect to pass on a liveable planet to their kids. Governments simply cannot continue to consider their model of economic development apart from their commitments to tackle climate change. The longer this divide exists, the more the problem worsens, and we will only become further locked into dirty energy infrastructure. Nations need to face up to the crux of the climate problem and address the issue of continued extraction. NextWe put our Heads in the Sand last Sunday. This Monday, it’s time to tell National MPs to Cut the Gap on climate change.